In Nova Scotia, Adult Learning Programs are broken down into three levels. The Dartmouth Learning Network currently offers programs in Level 1 & Level 2 plus the General Equivalency Diploma (GED). Classes run from September to June unless told otherwise by the instructor. This level has been designed for adults who need to develop a broad range of literacy skills. The skill set would be compared to a grade 6 student. Dartmouth Learning Network offers programs at this level. This level has been designed for adults who need to develop a broad range of literacy skills. The skill set would be compared to a grade 8 student. This level has been designed for adults who need to improve a variety of skills before entering into Level IV and/or who need to improve their literacy and essential skills to assist in their life/work transitions. Skill set would be compared to grade 10 student. Dartmouth Learning Network currently does not offer programs at this level. This level is an outcomes-based program designed to meet the needs of adults want to earn a high school credential to enter into a post-secondary education or training program, or to increase their employability. These courses that can be used as credit toward the Nova Scotia High School Graduation Diploma for Adults; skill set would be compared to a grade 11 and 12 student. Dartmouth Learning Network does not currently offer this level. The General Educational Development (GED) is an international high school equivalency testing program for adults. It is a series of five tests in Language Arts Reading, Language Arts Writing, Mathematics, Social Studies and Science. The GED test is an option for adults who did not graduate from high school. Adults can also earn their high school diploma through the Nova Scotia School for Adult Learning. Dartmouth Learning Network classes are Tuesday and Thursday evening 6:30 pm – 9:00 pm from September to June. All learners are provided with a GED Textbook and a Learner Supply Kit. The Dartmouth Learning Network is not a designated GED testing site. The GED® test has moved from a paper-based to computer-based format. Not only are test results provided instantly, but studies have shown that adults who have taken the GED tests on computer find the test easier and also finish faster. The GED® is comprised of five tests: Language Arts, Reading; Language Arts, Writing; Social Studies; Science; and Math. The cost per test is US $10. Personal cheques and cash are not accepted. The future is calling. With the GED® test, you can earn a high school diploma to further your education or get a better job. Do not miss this chance to turn one small step into your next big opportunity in life. No other high school equivalency program is more recognized across the country—offering a diploma accepted by most schools and employers. Please call 1-877-466-7725 for more information. To register for class, one-on-one learning, GED Program, math or computer basics you must first make an appointment to come to learner orientation. Orientations take place a couple of times each month at our offices located at 73 Tacoma Dr, Suite 802, Dartmouth, Nova Scotia. Who can register for classes? Orientations take place several times a year at our offices located at 73 Tacoma Dr, Suite 802, Dartmouth, Nova Scotia. What happens at a learner orientation? You will hear some information about The Dartmouth Learning Network and we will take you on a tour of our office and classrooms. You will also do a short evaluation so we know the best class for you. Don't worry about this evaluation! It shows us how much you already know and what you need to learn. The evaluation helps us find the right learning environment for you. What does The Dartmouth Literacy Network do with the information I give at student orientation? Your information is confidential. All of the information on your registration form is for our records only. We do NOT give information about you to anyone outside of The Dartmouth Learning Network unless you have signed a release giving us permission to do so. All learners attending programs offered by the Dartmouth Learning Network are entered into the Nova Scotia School of Adult Learning Database. What happens after student orientation? You will be placed on a waiting list for class or a mentor. A member of our staff will call you when a class or mentor is available. Sometimes you will have to wait for several weeks before a class or mentor is available. Our classes are popular and many people want to come! Please be patient. We will call you when a class or mentor available for you. How long will I have to wait for a class, or a mentor? It depends. It might be just a week or two, or it could be longer. If you are available at many times during the week, we might be able to find you an opportunity for you sooner. When you attend a learner orientation, please be sure to tell us ALL the time slots you are available to attend class or meet with a mentor. Learners can register and attend Special Classes in addition to their regular class or one-on-one mentoring if space permits. Can I bring my friend or someone from my family, to my class? No. ALL students must attend learner orientation prior to attending class. Please do NOT bring your friends or family to your class! Although it's great that they want to attend, they must first complete a learner orientation and then be placed on the waiting list just like everyone else. Throughout the school year we will host a series of activities and events that your family and friends are welcome to attend. How can the classes be free? Who pays for them? The Dartmouth Learning Network has a small complement of paid staff (7) who are supported by over 40 volunteers who donate $104,000 in unpaid service to helping us deliver our services. The majority of our volunteers are mentors in our one-on-one Community learning Program. Please respect them and their time. We receive funds from private companies, grants and individuals. We host a series of events during the year to help raise money to support our learners. We receive funding from the Nova Scotia School of Adult Learning and the Department of Labour and Advanced Education. If you, a friend, or someone in your family would like to learn more about the programs offered by the Dartmouth Learning Network, please complete the form below to request information. PLEASE NOTE: The Dartmouth Learning Network will respond to every request for information where a valid email address is given. Please check your Spam folder if you do not see the response you were expecting - unfortunately we do find that some messages get mistakenly filed as Spam. Thank you for your understanding! When learners and volunteers graduate from our programs, we don't want to say goodbye! All graduates of The Dartmouth Learning Network programs are invited to join our alumni group, so they can socialize with fellow members and participate in alumni activities. If you are a Dartmouth Learning Network graduate, and would like to join the Dartmouth Network Alumni, please call (902) 463-9179 or email admin@dartmouthlearning.net for more information. 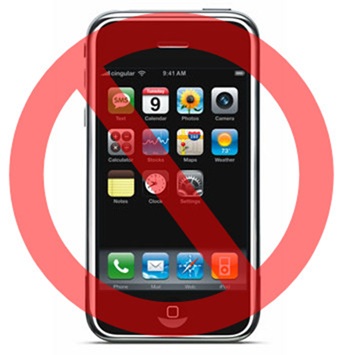 Please turn your cell phone OFF or put on vibrate while you are at The Dartmouth Learning Network. If you are not going to be able to attend class or your one-on-one mentoring session you are required to call and let us know. We have a large number of learners waiting to get into our programs and unexcused absences will result in your release from our programs. Learners in our one-on-one mentoring program are asked to give a “one day” notice if they will not be able to meet with their mentor. Please call (902) 463-9179 to leave a message. If classes are cancelled in Halifax Regional Municipality due to poor weather conditions the Dartmouth Learning Network will be closed.